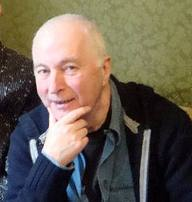 The writer, editor and publisher Peter Burton, who died suddenly of a heart attack. aged 66, on 7 November, made an enormous contribution to the promotion and then mainstreaming of LGBT literature in the UK. He was also an extremely kind friend, a generous host at his ramshackle little house in Brighton and a mentor for many young writers trying to find their own voice and forge a literary career. 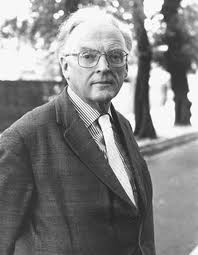 I first met him about 40 years ago, while I was still a student, but it was only after I moved back to England in 1981, after seven years in Brussels, that I began to see him regularly, often in the company of our mutual friend Francis King (at whose Memorial Service on 2 November I last saw Peter, looking hale and hearty, although he only had five more days to live). When Liberal Democrat conferences took place in Brighton, I always enjoyed taking one extended lunchtime off to go to Peter’s for a boozy, wholesome lunch, at which there would usually be one or two of his latest protégés present. The house itself was extraordinary, seemingly held up by the enormous mountains of books, which covered not only all the walls, but every flat surface (other than the kitchen table) and most of the stairs, so that navigating oneself around them was quite a challenge. Peter simply adored books, which was perhaps remarkable for someone who had grown up in a working-class home in East London. Friends (including me) were worried that the house would literally fall down, as it had had no maintenance for decades and there were holes where there shouldn’t have been; mercifully, it was patched up successfully before disaster occured, I think with the help of the Council. Following a mugging, Peter rarely came up to London; at least that was his excuse, but I think he was essentially the sort of bird who feels uncomfortable away from its nest. 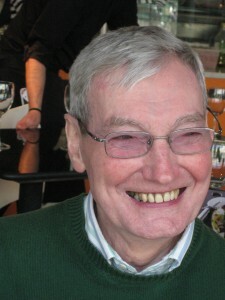 This afternoon I will go down to Brighton for his funeral and for the subsequent wake. He may be physically present at the former, but spiritually it will be the latter that he relishes.